FLOVENT HFA is an inhaled aerosol containing steroids. FLOVENT HFA contains the same medicine used to treat humans with asthma. For use in pets, an easy and effective way to administer FLOVENT HFA is to use an aerosol mask for cats and dogs. Speak with your vet to find out which mask is best for your pet. Flovent HFA is a medication meant for long-term use to manage and prevent asthma symptoms such as coughing, wheezing, and/or restricted breathing. 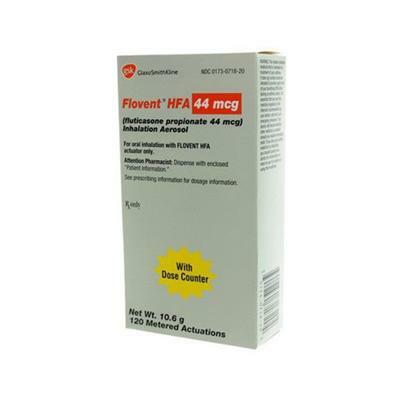 FLOVENT HFA is not intended for use as a quick-relief inhaler/asthma attack treatment. FLOVENT HFA takes 7-10 days to work fully and should be used regularly on your cat or dog for best results. FLOVENT HFA’s side effects are rare, but possible tiredness, dizziness, and/or throat irritation can occur. Contact your vet if any symptoms such as these arise.